This is coming from all of Us (#teamleXHansplaCE) wishing you all Blog-readers and visitors a very prosperous, fruitful, powerful, and wonderful month of March…. let’s walk in power and have the best the month has for us..
Next article Insomnia….do these and see how it works magic.. 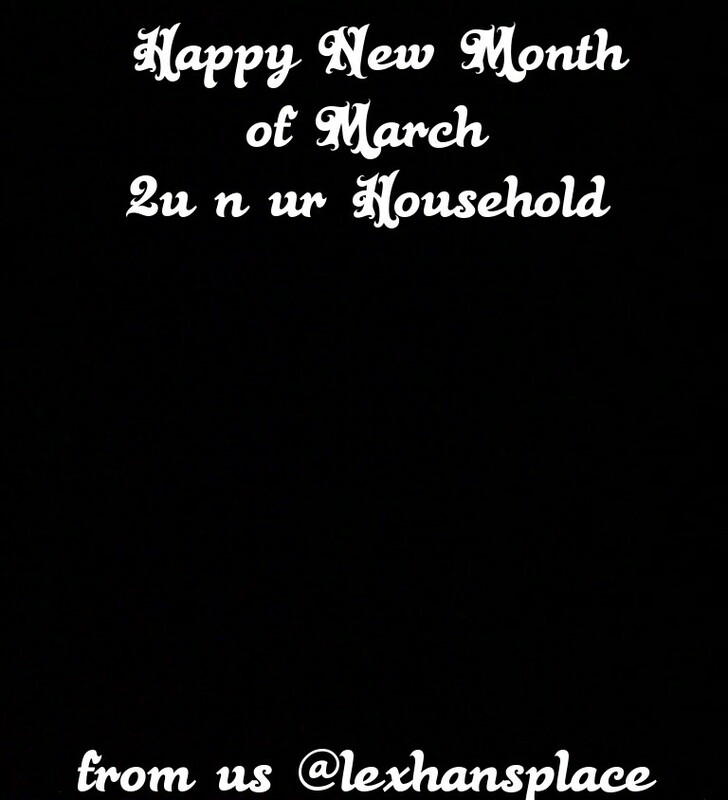 Happy March to you as well! 🙂 Happy that we had an extra day yesterday! hehehehehe, now thats not just easy… rain everywhere…. a month with loads of blessings it is then..
seems the rains are everwhere in the world as it stands, well then, lets enjoy the showers…happy new month and like you said…. may it refresh the earth around us.